Paint Quality is our number one concern at Carter Custom Painting. We are only as good as the products we use, especially when it comes to paint quality and painting Exteriors! The elements are harsh here in St. louis, Mo protect your investment with the best! Why a High Quality in Paint Means High Value A high quality paint goes on faster and easier. Good Hiding and Flow means the paint will go on with less brushing, less retouching, higher production rate equals less of a labor rate to the customer. etc. You may need LESS COATS(most paints need 2 coats) to achieve good hiding and an attractive uniform appearance. Less Spattering can mean faster, easier cleanup. For Interior painting from Carter Custom Painting in st. louis , you should expect a top quality paint to last longer and give you more value. A quality paint resists dirt and staining better, and stands up to repeated cleaning better than an “economy” paint. Pigments-Pigment is a component of paint. It is a coloring material usually a finely ground powder which does not dissolve. It is suspended in a liquid solvent vehicle to become the coloring material in paint. There are two types of pigments used in paint formulation, Prime Pigments and Extender Pigments. These pigments are what provide the primary coloration of the paint whether white or a color shade. Quality primary pigments are usually expensive. These pigments are the filler used in paint pigment. They do not hide as well as primary pigments and have a significant impact on the overall characteristics and performance of a paint, including hiding, durability, scrubbability and retention of color. Thats why Carter Custom Painting only uses high quality paint like Sherwin Williams and Porter Paints for a longer lasting finish. Extender pigments have historically been made from clay, silica, talc, chalk, and to assist in mildew prevention, zinc oxide. The Binder, or resin, is the actual film forming component of paint. It is the only component that must be present; other components listed below are included optionally, depending on the desired properties of the cured film.The binder imparts adhesion, binds the pigments together, and strongly influences such properties as gloss potential, exterior durability, flexibility, and toughness.Binders include synthetic or natural resins such as acrylics, polyurethanes, polyesters, melamine resins, epoxy, or oils. Binders can be categorized according to drying, or curing, mechanism. The four most common are simple solvent evaporation, oxidativecrosslinking, catalyzed polymerization, and coalescence. There are others. Note that drying and curing are two different processes. Drying generally refers to evaporation of vehicle, whereas curing refers to polymerization of the binder. Depending on chemistry and composition, any particular paint may undergo either, or both processes. Thus, there are paints that dry only, those that dry then cure, and those that do not depend on drying for curing. Paints that dry by simple solvent evaporation contain a solid binder dissolved in a solvent; this forms a solid film when the solvent evaporates, and the film can re-dissolve in the solvent again. Classic nitrocellulose lacquers fall into this category, as do non-grain raising stains composed of dyesdissolved in solvent. 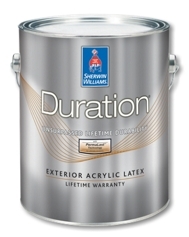 Latex paint is a water-based dispersion of sub-micron polymer particles. The term “latex” in the context of paint simply means an aqueous dispersion; latex rubber (the sap of the rubber tree that has historically been called latex) is not an ingredient. These dispersions are prepared byemulsion polymerization. Latex paints cure by a process called coalescence where first the water, and then the trace, or coalescing, solvent, evaporate and draw together and soften the latex binder particles together and fuse them together into irreversibly bound networked structures, so that the paint will not redissolve in the solvent/water that originally carried it. Residual surfactants in the paint as well as hydrolytic effects with some polymers cause the paint to remain susceptible to softening and, over time, degradation by water. Paints that cure by oxidative crosslinking are generally single package coatings that when applied, the exposure to oxygen in the air starts a process that crosslinks and polymerizes the binder component. Classic alkyd enamels would fall into this category. Paints that cure by catalyzed polymerization are generally two package coatings that polymerize by way of a chemical reaction initiated by mixing resin and hardener, and which cure by forming a hard plastic structure. Depending on composition they may need to dry first, by evaporation of solvent. Classic two package epoxies or polyurethanes would fall into this category. Still other films are formed by cooling of the binder. For example, encaustic or wax paints are liquid when warm, and harden upon cooling. In many cases, they will resoften or liquify if reheated. Recent environmental requirements restrict the use of Volatile Organic Compounds (VOCs), and alternative means of curing have been developed, particularly for industrial purposes. In UV curing paints, the solvent is evaporated first, and hardening is then initiated by ultraviolet light. In powder coatings there is little or no solvent, and flow and cure are produced by heating of the substrate after application of the dry powder. The main purpose of the vehicle is to adjust the viscosity of the paint. It is volatile and does not become part of the paint film. It can also control flow and application properties, and affect the stability of the paint while in liquid state. Its main function is as the carrier for the non volatile components. Water is the main vehicle for water based paints. Solvent based, sometimes called oil based, paints can have various combinations of solvents as the vehicle, including aliphatics, aromatics,alcohols, and ketones. These include organic solvents such as petroleum distillate, alcohols, ketones, esters, glycol ethers, and the like. Sometimes volatile low-molecular weight synthetic resins also serve as diluents.The solvent based paints(oil enamel) often used for trim painting is stronger than waterbased paint, but yellows over time. I suggest to my clients to choose a high quality latex trim enamel when wanting to achieve a pure white. Also note that the term “vehicle” is industrial jargon. In some companies the term is used to refer to the solvent and in others, it is used to refer to the binder. 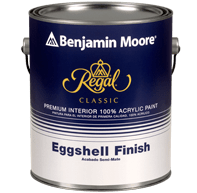 Besides the three main categories of ingredients, paint can have a wide variety of miscellaneous additives, which are usually added in very small amounts and yet give a very significant effect on the product. Some examples include additives to modify surface tension, improve flow properties, improve the finished appearance, increase wet edge, improve pigment stability, impart antifreeze properties, control foaming, control skinning, etc. Other types of additives include catalysts, thickeners, stabilizers, emulsifiers, texturizers, adhesion promoters, UV stabilizers, flatteners (de-glossing agents), biocides to fight bacterial growth.